Vivaan Flexi Pack Pvt. Ltd. is the manufactruer of all types of Flexible Laminates with high quality material and process, our laminates goes in Pharma, FMCG, Agriculture, Confectionery etc. We offer tailor made job as per customer requirement and their suitability. Our company offers a comprehensive range of Flexible Laminates for specialized applications in a wide variety of industries. Our range can be configured to various substrates for greater strength and enhanced barrier properties for better protection to the product being packed and long shelf life. Exceptional properties such as of anti-oxygen, moisture-proof, leak-proof, carry-home, anti-pollution, etc. Accepting tough anodized aluminium as cover stuff, it is simple to crack aluminium foil to extract the drugs by driving the cover. Multi Layer high barrier flexible laminated roll, pre form pouch, lids & zip lock - reusable pouch cater to all food, snacks, beverages, pharma & other FMCG industry. In order to cater to the numerous necessities of the patrons, we have been able to provide a wide range of Flexible Laminates Roll. UNWINDER: Unwinder section with motorize tension control is a close loop system in which Load Cells are used to take tension feedback which will measure the Tension in KG & PID controller controls the motor according to set Tension. Encoder is coupled with motor for dynamic response. PET/MET laminates offered by us is designed and developed at our manufacturing unit equipped with advanced machinery. These PET/MET laminates are used for storing consumable goods which keeps them dry, odorless and safe from humidity. We make use of latest packaging techniques in the fabrication of these laminates, which has gained wide acceptability. We offer high quality range of Flexible Laminate. It is printed in attractive designs and logos for marketing purpose. Available in a variety of sizes and colors. We offer our range at market leading prices. This is a composite film made up of PET- film, applied by lamination. 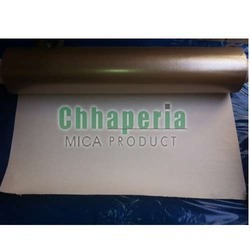 PET film can be reverse printed or surface printed and the PET film can be selected to offer the desired performance properties such as peelability or modified to have high hot tack, etc. The film can be printed up to 8 colors. 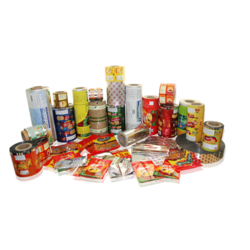 Top films for rigid thermoformed containers, vacuum pouches, etc. We specialize in all type of laminates.